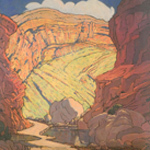 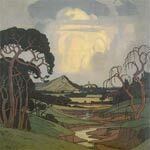 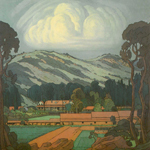 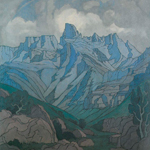 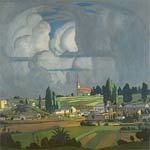 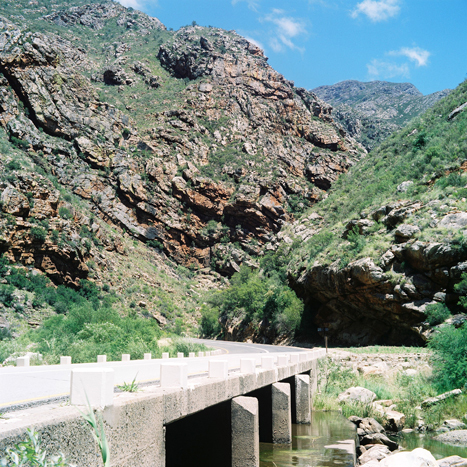 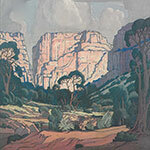 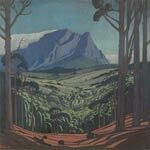 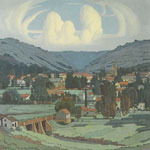 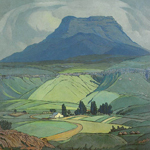 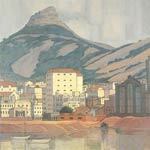 In the early 1930's J.H Pierneef - the most influential and prominent historical South African landscape painter - was commissioned by the railway services to travel South Africa and paint select sites reached by the capillary railways. 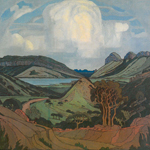 Famously known as the Johannesburg Station Panels, these paintings depict scenes of mining, industry, seaside villages and sprawling uninhibited landscapes. 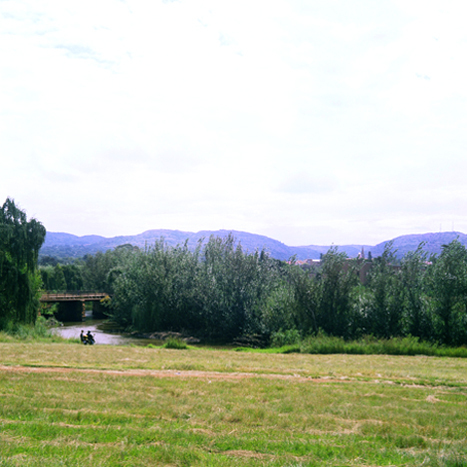 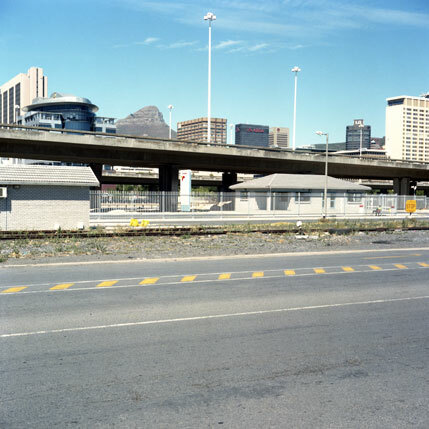 The panels, which were exhibited in the concourse of the Johannesburg Railway Station until the abolishment of the apartheid government in the 1990's, were intended to create the effect that the station was the gateway to a glorious and unknown landscape. 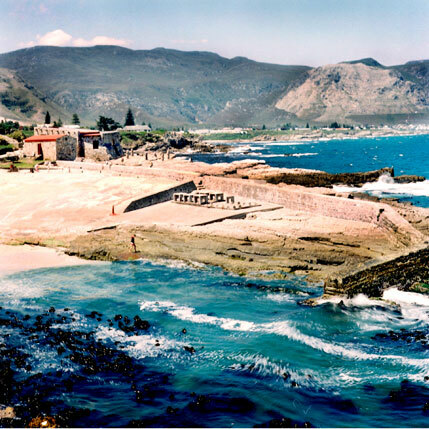 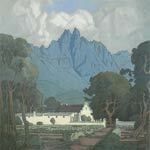 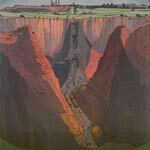 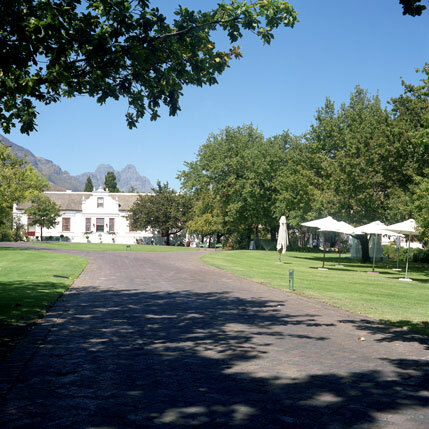 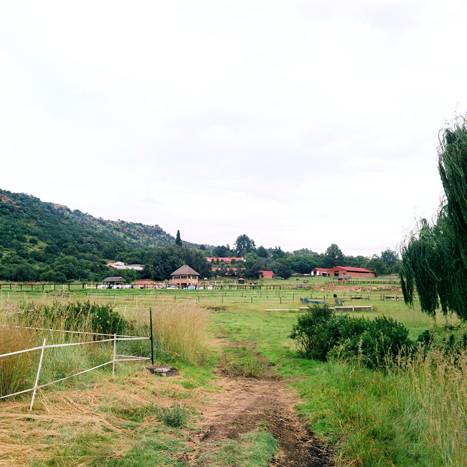 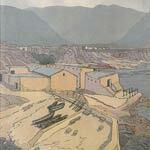 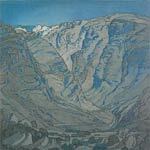 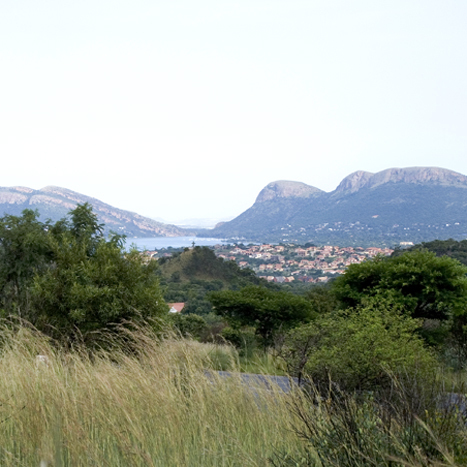 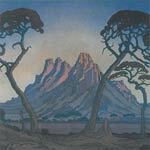 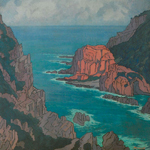 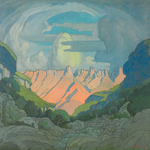 Pierneef spent days in the various sites making watercolour sketches and gathering visual data. 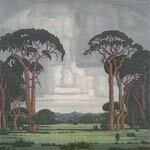 He would then go back into his studio and construct an ideally composed painting. 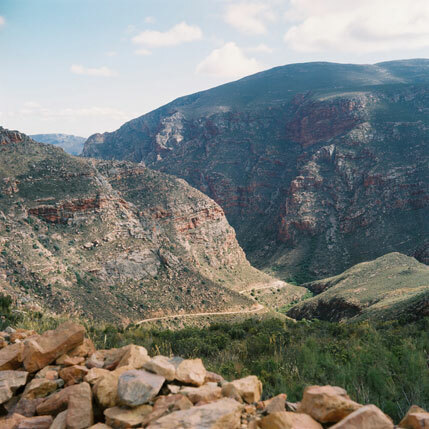 These photographic studies form part of a larger process of tracing, pinpointing the perspectives and photographing the iconic landscapes. 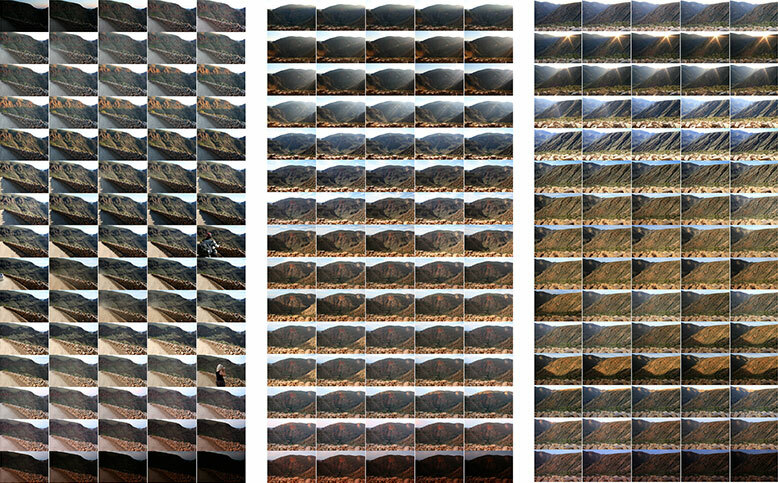 In addition to the photographic prints there are digital screens documenting studies of how the camera responds to the shifting light. 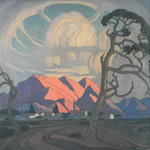 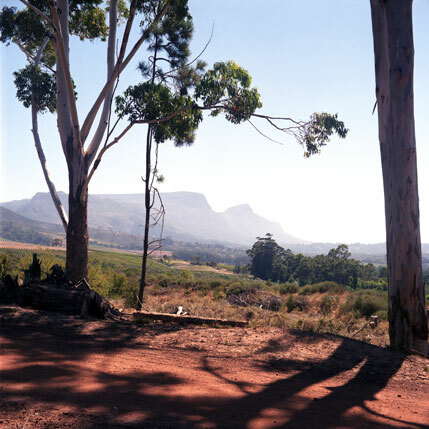 These works are new photographic studies made in response to the process Pierneef went through making observational sketches of the site and the surrounding environment. 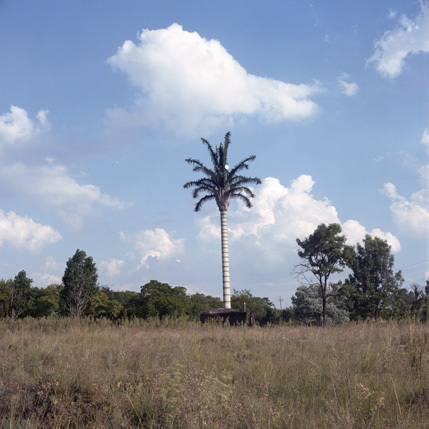 This work toured around South Africa opening at the University of Stellebosch Gallery in 2012 and then moved to the Oliwenhuis in 2013 and the Durban Art Gallery 2014. 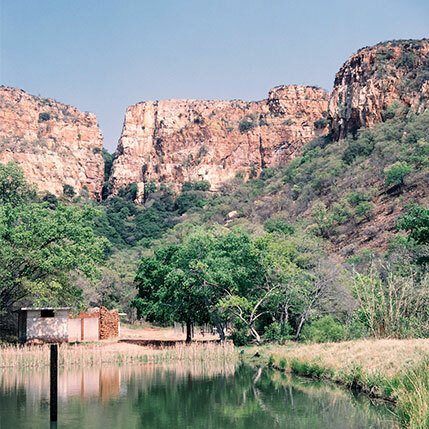 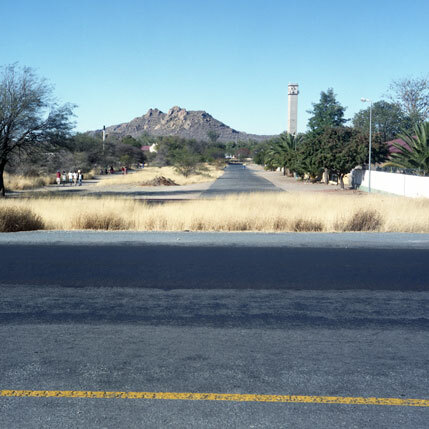 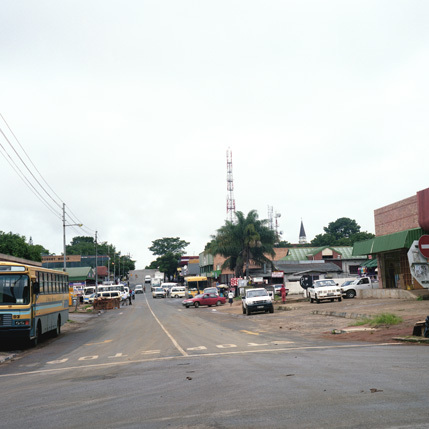 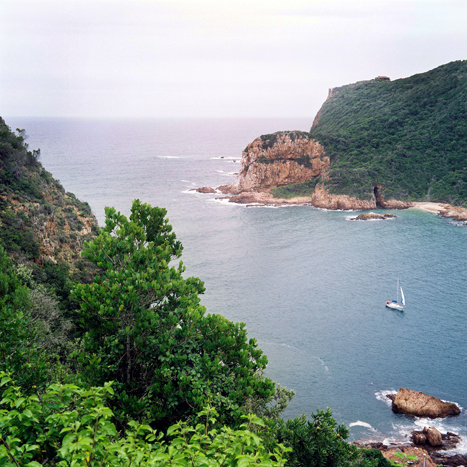 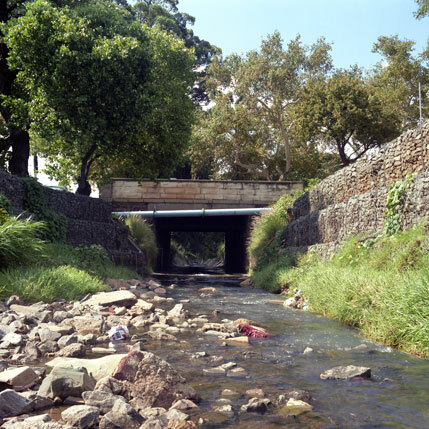 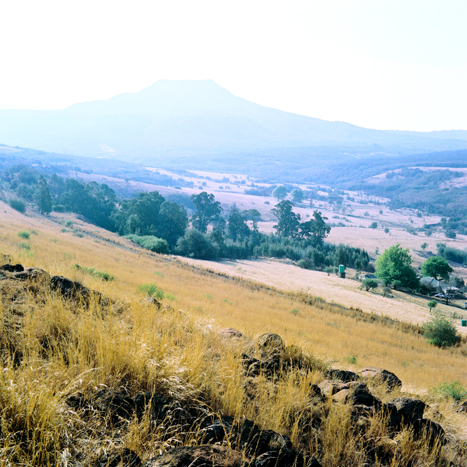 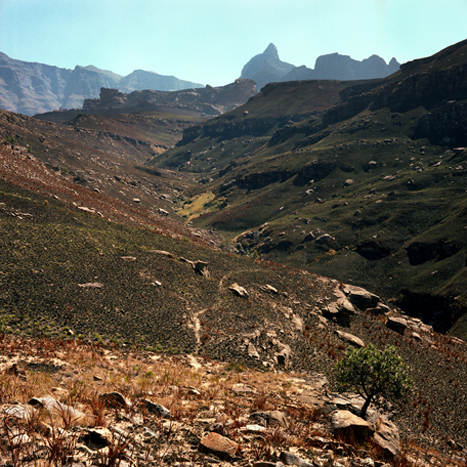 These images won the Tierney Fellowship award for 2009 and were on exhibition at the Wits University Sub Station Gallery in Johannesburg as work-in-progress as part of the Tierney Fellowship annual exhibition. 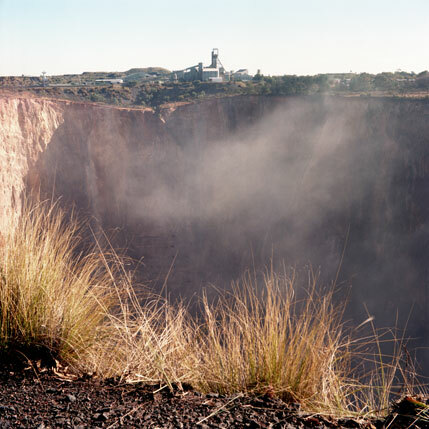 The work was then shown as part of the Tierney Fellowship group exhibition at the New York Photo Festival at the Tobacco Warehouse Dumbo Brooklyn New York.